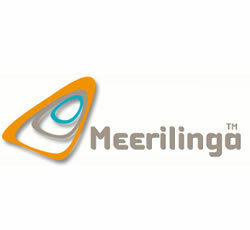 Meerilinga's association with children dates back to 1911, to the pioneers of the kindergarten movement and the early learning advocates for children's interests in this state. Farmhouse Montessori School is a non-profit community school for children aged from two to six years. Set in beautiful grounds beside Balgowlah North primary School, the children have the opportunity to develop in an environment designed to develop respect for the environment and encourage skills in harmonious relationships. The school houses two pre-primary classes of 25 children each in the 3-6 age range, and a toddler class of up to 16 children in the 2-3's room. Contact us to discuss your child's enrolment today! Our teaching program follows the principles developed by Dr Maria Montessori. Montessori teaching methods are used in increasing numbers in schools throughout the world as awareness of its support for the long term development of the person is recognised. At Farmhouse we are committed to helping the child develop as an individual and as part of a community. We also provide an environment that encourages and supports the child's awareness of their importance in caring for each other and their role in caring for the earth and its inhabitants. 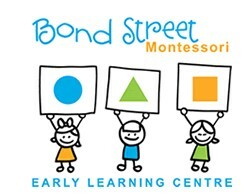 Bond Street Montessori ELC is a Long Day Care centre that provides Montessori programs for children aged 2 - 5 years, located in Mosman on Sydney's Lower North Shore. We are licensed by the Department of Children Services and operates between 7:30am to 6:00pm daily for 51 weeks per year. Set in a beautifully renovated federation property with generous playgrounds surrounded by mature trees, we exceed DoCs requirements of outdoor play space to create a wonderful environment for our children and staff.Through our highly trained/qualified staff, we deliver a Montessori program that is tailored to the child’s individual needs and interests, develop and fulfil their natural talents, ability and their unique desire to learn/absorb. As individual attention is crucial in delivering the quality of education, we exceed the required staff/child ratio in all age groups to ensure our teachers has the capacity to give our children the required individual guidance and care. Mount Pleasant Road Primary School and Kindergarten is situated on spacious grounds in the City of Whitehorse. At our school teachers, students and their families work in partnership in a safe, caring and happy community environment. Our school motto is "Guided Growth" and hand in hand our students learn through rich, cohesive and diversified programs in order to reach their full potential. We offer a range of programs to our students, including a fully integrated 3 & 4 Year Old Kindergarten, Before & After School Care and weekly specialist teaching for Physical Education, Visual Arts, Performing Arts and LOTE. We are a small school with a BIG difference and we invite you to explore our website and then come and visit us to see why our students succeed and love learning. Blue Gum Montessori Children's House has been operating in Blackheath since 1997. Set in a quiet tree-lined street, the Montessori method and philosophy is imparted in a caring, warm manner in an environment designed to meet the needs of the children. The activities are designed to help the children develop independence, positive self esteem and a love of learning. The preschool is licensed by the Department of Community Services and operates from 8.45am-2.45pm. There are opportunities to attend 2, 3 or 5 days per week. Extended day lessons are offered to four and five year olds. Staff have a long standing association with the Montessori method and the Directresses hold University Degrees as well as Association Montessori Internationale (A.M.I) 3-6yrs Diplomas. Highfields’ image of a child is one with unlimited potential who is eager to interact with and contribute to the world, a capable child who delights in taking ownership for their learning, a curious child who asks questions and whose ideas and understandings are sought and valued. Highfields Preparatory and Kindergarten School specialises in early childhood education and caters for children from Preschool to Year 2. It is a small school with big ideas offering a warm, nurturing co-educational environment, where exciting and progressive programming challenges children and teachers alike. Highfields is an independent and non-denominational school managed by the Council of Governors. This Council is comprised of parents who currently have children at the School. The School is staffed by experienced and highly qualified teachers and assistants who are dedicated and committed to providing a secure yet challenging learning environment which is appropriate, interesting and imaginative. dynamic, pro-active and responsive leadership in early childhood/community service training and research. ECTARC has in place a quality management system to ensure compliance with Australian Quality Training Framework standards and other State/Territory legislation for registered training organisations. Karuna Montessori School is an independent, professionally operated, non-profit making, non-denominational, community based pre-school established in 1984 by the Northern Beaches Montessori Association. It closely follows the Montessori philosophy with AMI (Association Montessori Internationale) trained Montessori teaching staff. It is registered and accredited with the NSW Dept Education Board of Studies as a school catering for children in Kindergarten, and is licenced by the Department of Community Services (DoCS). Karuna Montessori School is a member of the Montessori Australia Foundation. The school is administered by a Parent Council which is elected each year at an Annual General Meeting. The Council holds parent meetings twice a term. At Vermont Primary School we are learning for our future. We remember our responsibilities and care for everyone and the environment. We honour and respect our school, our parents, our community and our country.We strive to achieve our goals, and help others to achieve theirs. 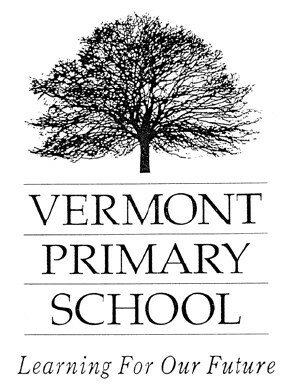 Vermont Primary School prides itself on its tradition of excellence in education. The dedicated staff provide an innovative and comprehensive curriculum that fosters the academic, social, physical and emotional growth of each child to his/her potential. Within our safe and supportive environment and challenging curriculum, we encourage self-esteem, positive values, personal responsibility and respect for others. We strive to instil in our children the value of life-long learning. Australia Street Infants School is a specialist early childhood learning centre that caters for children 0-8 years through innovative programs within Lennox House, Pre-School and K-2 Infants School. We aim to provide a safe, happy and stimulating learning environment which fosters co-operation and teamwork throughout our learning community. Our central purpose is to provide your child with the necessary knowledge, understanding, skills, values and attitudes to ensure a sound foundation for life-long learning, through the provision of a relevant, meaningful and practical curriculum which takes into consideration prior knowledge, developing interests and needs of your child. The education programme provided at this centre deals with social, intellectual and physical skills. Before a child can successfully cope with any formal learning he/she must develop several important attributes: a willingness to share equipment and ideas; the ability to work in a group; and preparedness to listen to the opinion of others. Maridahdi Early Childhood Community is a vibrant learning community that is now Maridahdi began life as a community kindergarten in 1973. Today, it caters for 75 children from pre-prep to year 7 in four multi-age classrooms. The name 'Maridahdi' is a Swahili word, meaning to embellish, to enhance. It conveys the school's focus on children as individuals and the role of teachers as facilitators of discovery and learning. Maridahdi supports, acknowledges and respects children as thinkers and learners. 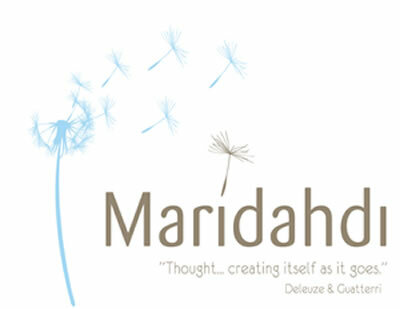 Maridahdi is about making connections to children, their families and the community. Our philosophy supports the empowerment of children. Maridahdi Early Childhood Community School has been structured in line with contemporary early years research, which recognises the significance of the years between birth and eight and the unique strategies required to support children in their thinking and learning during this time. An approach which supports the individual is appropriate at any age. We believe that children who have developed positive attitudes and dispositions to learning, who have been supported to connect to their interests and ways of learning and to communicate in personally meaningful ways, will be able to cope with transitions more adequately at any state in their journey of lifelong learning. Montessori International College is a progressive school community providing primary and secondary education and follows the recommendations as articulated in the writings of Dr Maria Montessori. As you stroll through our campus you immediately experience the inimitable energy that radiates from the child and adolescent. Our campus is not grandiose, and some visitors are taken aback by both its simplicity and beauty. Our classroom environments are not filled with the busyness, distractions and noises of the 21st century but are environs that serve and honour the needs of the child and adolescent. The teachers at Montessori International College offer their students wisdom, diversity of experience, compassion and respect. 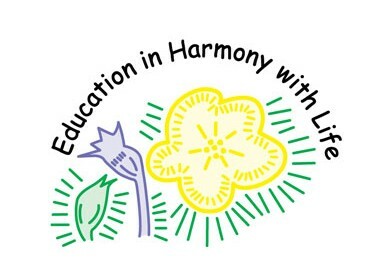 They form part of a dynamic collaborative that share a deep connection to Montessori's writings and each are driven by the work of the children and adolescents in their care. Please visit the staff section of this site to gain further insight into the staff at Montessori International College. You will find at Montessori International College an engaged and active community of parents, teachers and staff. Our college values the role of parenting and offers parent education to all families as a way of supporting them in this role. We do this, because in essence, Montessori education is about raising children from birth through childhood and adolescence and into adulthood. Barrenjoey Montessori School is located in Avalon on Sydney's Northern Beaches. We offer a Montessori Education to children from 15 months to 6 years old. Specially designed activities assist the young child in developing skills in language, maths, geography, science and music. The Montessori programme aims to develop the 'whole child' – assisting their social, emotional and physical development. BMS is a not-for-profit parent run school, operated by the Avalon Montessori Association. Parents and members of the community are invited to become members of the Association. It is at the monthly Board meetings that the business of the school is conducted and issues are raised, discussed and voted on by Board members. The school Board currently has 7 members from both the school and the wider community. The school employs a Principal who is supported by a passionate and experienced team both in the classroom and in the office to ensure that both children and families gain from a high quality of Montessori education. Little Tackers Millmerran is the first Long Day Care centre to be established in the rural community opening in April 2005. Little Tackers Millmerran and Warwick are purpose built child care centres. The Centres provide first class early childhood education and care facilities for children aged from 6 weeks to school age – spacious group rooms and generous shaded playgrounds, large verandahs and covered sandpits all provide ample room for children to be active learners. Our centres are air-conditioned and heated providing comfortable learning spaces all year round. Children are shaped by many events and circumstances in their lives – becoming part of the world around them. 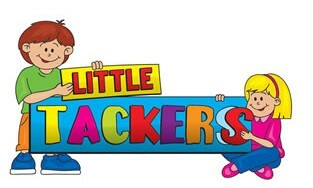 At Little Tackers we have created centres which are safe, relaxed, warm and inviting. Our children and our families are our central focus. We work to include our families in all areas of our centres and value all contributions and feedback our families provide. 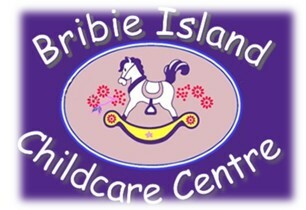 Bribie Island Child Care is a privately owned small 50 place centre located in a quiet leafy corner, conveniently close to Bribie Island State Primary and State High Schools. We care for children aged 15 months to 6 years, with our 3-6 year olds actively taking part in community events. We also offer Before and After School Care. The centre is open and bright with ample glass doors and windows allowing natural light and ventilation. Ceiling fans and air conditioning in extreme temperatures provide the children with an ambience to learn in comfort. Each room has their own playground facilitating a sandpit, with equipment, resources and different learning experiences for play and discovery. Tiny Legends Childcare Centre is a privately-owned community orientated centre which strives to provide the highest level of quality education and long day care service in immaculate and aesthetic surroundings. Our centre aims to meet the needs and requirements of each family by providing a caring, nurturing and safe environment with teachers that know how to have fun. Tiny Legends caters for children aged six weeks to school age. We ready children for school with a program tapered to stimulate children’s learning and development. Tiny Legends has exciting playscapes with rubber surfacing and a children’s water park that utilizes tank water on site. We cater for all ages outside providing separate playgrounds for the younger age groups. We offer a computer literacy program for preschoolers to provide children with the necessary literacy skills that readies them for Prep. There is also a Dance and movement program called Lil Red Rockers who visits the centre on Mondays and Fridays, it has a 50’s Rock n Roll theme. We have a state of the art security system with pin entry to ensure children’s safety as this is paramount. 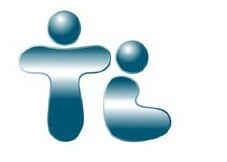 Tiny Legends Day Care Centre is open 52 weeks a year from 6.30am to 6.00pm Monday to Friday. Excluding public holidays. We provide nappies, and nutritious morning and afternoon tea. Morning and afternoon tea is always nutritious – fresh seasonal fruit such as banana, kiwi fruit, watermelon, rockmelon, grapes, pear, orange, apple, and sultanas are offered every morning. Afternoon tea usually consists of yoghurt or custard, cheese, devon, rice crackers, and veggie sticks. On occasion the children are treated to scrumptious pancakes and toasted fruit loaf. Each child receives a free hat, shirt and sheets bag on their first day. Tiny Legends looks forward to meeting you and your child at our centre where each day is an adventure. At Happyland Kids we cater for children from 0 to 5 years, as well as before & after school care. We also offer vacation care for children aged 6 to 12 years. We pride ourselves on offering parents the best quality care, and one of the ways we can do this is by providing qualified trained staff. Our teachers are able to provide the children with challenging and developmentally appropriate programs to cater for each of the children's needs. Happyland Kids is open Monday to Friday from 7.00am to 6.30pm. 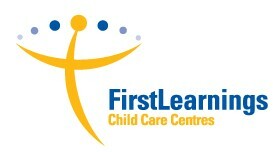 FirstLearnings is an innovative new child care group delivering uncompromising care of children and service to their parents. FirstLearnings programs help develop each child as an individual, nurturing their self esteem within a caring, secure and healthy environment.